Azhar Mohamad obtained his BA Accounting (Hons) and MBA Finance from International Islamic University Malaysia (IIUM). He started his career as an auditor with KPMG Peat Marwick and later as futures dealer with Bank Bumiputera Futures. 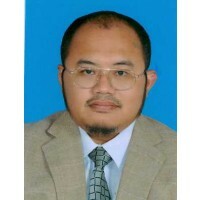 He joined IIUM as an Assistant Lecturer in January 2000. Upon completion of his MBA in Finance at IIUM, he taught finance at IIUM from July 2002 through August 2009. He pursued his Ph.D at Bangor University, UK, from September 2009 to July 2012, where he wrote empirical essays on short-selling and was able to complete within 36 months. While doing his BA ... show more Accounting at IIUM in 1995, he was named as the Best Student for Accounting for Islamic Bank. As a co-author, he won best paper awards in Malaysian Finance Association Annual Symposium twice, in 2003 and 2010. Post Ph.D, he was appointed Assistant Professor and he is the postgraduate coordinator for the Department of Finance from July 2013. Since December 2014, Dr Azhar has been an Associate Professor at the Department of Finance of Kulliyyah of Economics and Management Sciences at the IIUM. 25 October 2017 Best paper award in 5th International Accounting & Business Conference, paper titled "Principal principal conflict and firm value: evidence from Malaysian firms blockholders". 24-25 Oct 2017. Institute of Leadership and Development, Negeri Sembilan, Malaysia.. Universiti Teknologi MARA (UiTM) - National level. 13 April 2017 Best paper award in 8th International Conference on Financial Crimininology (ICFC) 2017, 12-13 April 2017, held at Dorsett Putrajaya, Malaysia. 8th International Conference on Financial Criminology, 2017, in collaboration with Accounting Research Institute, UITM. - National level. 10 June 2010 Best paper award in 2010 Malaysian Finance Association (MFA) 12th Annual Conference at Taylor's University College, Sunway, Selangor, Malaysia. Title: Foreign Exchange Exposure and Impact of Policy Switch: The Case of Malaysian Public Listed Firms, (with Obiyathulla Bacha, Sharifah Raihan and Mohd Eskandar). Malaysian Finance Association - National level. 23 April 2003 Best paper award in 2003 Malaysian Finance Association (MFA) 5th Annual Symposium at Multimedia University, Cyberjaya, Malaysia. Title: Daily Returns Seasonality and Impact of Stock Index Futures: Evidence from the KLSE, (with Obiyathulla Bacha and Mansor Ibrahim). Selected for publication in KLSE Capital Markets Review, 11, 2003, pp 1-22. . Malaysian Finance Association - National level.